D1Scout began as a proud dad's labor of love to provide his daughter's nationally ranked AAU basketball program with a quality site they could be excited about. The goal was to deliver a premium web presence to showcase team and player accomplishments, provide program members a single point to access team information and attract college scouts. The trick was to make the site simple enough for coaches and administrators to manage on an ongoing basis. After all, these folks had day jobs - most of which had nothing to do with web development. Fortunately, dad happens to be a technology ninja and after many weekends and late nights devised an ingenious structure enabling anyone who could send an email or draft a Word document to maintain a professional-quality site with minimal effort. The initial site was a resounding success and as word spread, it became apparent he was on to something. Traffic began to ramp and increasingly, calls were coming in from other programs to find out how they could get a site of their own. In 2002 D1Scout was born. We are friends, athletes, coaches, parents and fans who share a relentless drive to excel and credit athletics with instilling characteristics that have helped us succeed in our professional lives. We are entrepreneurs who hold patents, have taken companies public and helped build some of the most recognizable brands on the planet. We love sports and believe athletics are critical to helping kids develop essential life skills, such as character, commitment, tradition, shared accomplishment, loyalty, integrity and resilience. D1Scout's growth to this point has been fueled exclusively by word of mouth, which we believe is the greatest testament to the quality of the product and our team's commitment to delivering exceptional client service. We work hard, play hard and love what we do. We believe D1Scout is the most advanced platform available to help any athletic organization simply and effectively manage their program and deliver a professional-quality website that delivers results. Because D1Scout sites are web-based, clients never need to worry about platform maintenance, there is no software to download, and the application is continually evolving to deliver new features and leverage the latest technological advancements. We are always working to enhance our products and put a high premium on client feedback to help keep the application on the cutting edge. We are a young company, but we have big ideas and big plans for the future. Another benefit of the web-based structure is access. With D1Scout, clients can log in to their site 24/7 365 from any computer with an internet connection and we leverage industry leading security to ensure member information is fully protected at all times. Also among our top priorities has been creating a model that is universally accessible without sacrificing quality. Whether you run a nationally ranked high school program or a single town recreation team, we offer a solution that is affordable at every level and suited to meet your needs. Be sure to check out the Products section of the site to view a full list of program options and features. Easy to use state of the art technology and products meant to easy the day to day operations of a sports program. Robust sports technology afforded to high school, travel and club sports programs. D1Scout does just that. We give the normal user an easy to use robust platform that allow you to do what you do best run your program or coach it. My Goal has always been to deliver an easy to use customer experience in order to get complex tasks done efficiently. D1scout is the culmination of that experience in providing our customers web based applications that afford them the ease of managing their sports programs or businesses online. Our mantra in the engineering department has always been tremendous functionality for non-Information Technology professionals. That balancing act takes place each and every day for our engineers. Our goal easy to use robust products for the sports industry. The user experience should be intuitive, inviting and comfortable. In a world where technology and communications is changing and becoming more complex every day, our goal at D1Scout is to keep the experience stress free and easy to use. I think we have accomplished that with our back end tools for managing your site. As the Communications and Marketing director it is my job to evangelize D1scout to the sports community. This is made possible by the robust and easy to use technology that is the foundation of D1Scout services. 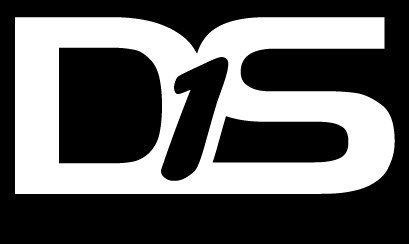 D1scout addresses the needs of all day to day opperations of a sports centric business.